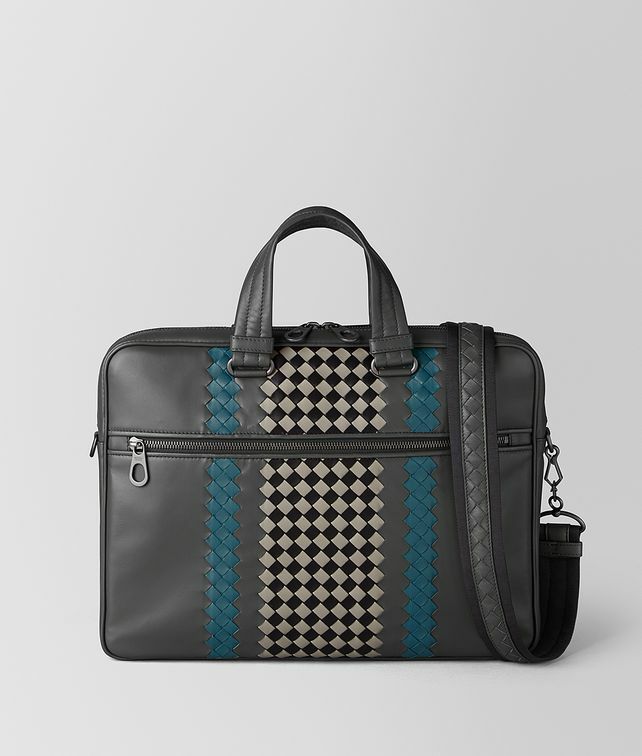 The classic briefcase gets a graphic update in the season’s new BV Club 19 workmanship. Crafted from soft nappa leather in four hues, the style features a central Intrecciato Checker panel bordered by solid intrecciato stripes. Finished with a detachable nylon shoulder strap, a front zip pocket and a lighted padded interior to secure a tablet or laptop.